Woo the one you love when you send this tower of sweets! 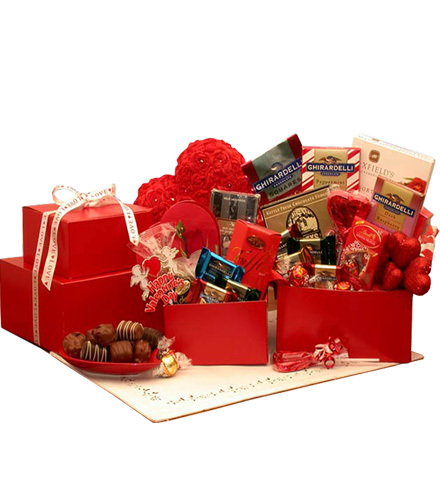 This package has Ghirardelli® Dark Chocolate with Raspberry Filling, French Truffles, Kettle fudge, Lindt Milk Chocolate and more. Topped with a Love ribbon this tower is truly decadent and delicious.